We finally have a shop you can come in and visit! Nestled in Horsham in West Sussex and serving the surrounding area, our new shop houses all our manufacturing and now a space for stock to be displayed and sold. Caught short the day before a competiton for nocks, fletchings, glue or anything else we stock? 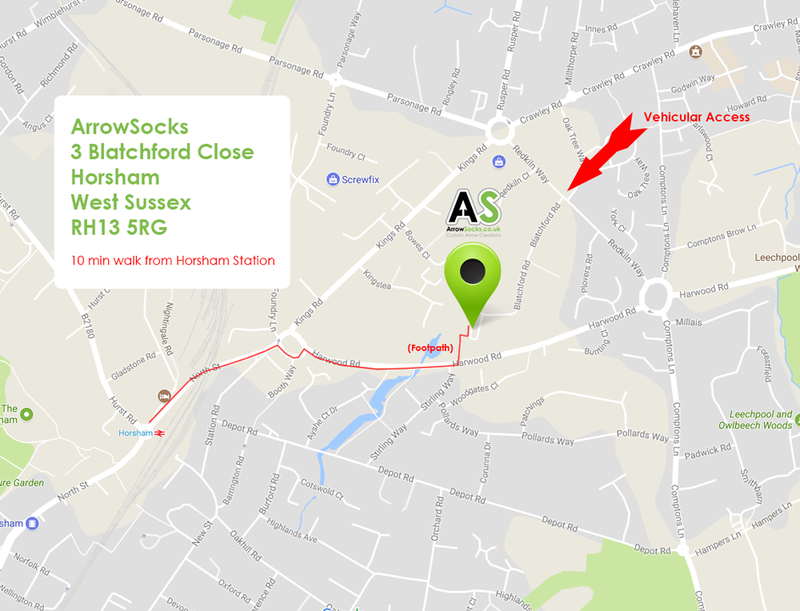 ArrowSocks to the rescue! If its showing as in stock on our website, we have it available for same day pick up in our shop. Due to the time wraps take to design, produce and finish you cant walk in and get some of those, but you can pop in and discusss your requirements with Olgi if you like. Friday = please call/email to arrange a time - we work a bit ad-hoc on Fridays due to the kids! If you need anything outside of these hours, please get in touch (emails best as if were not open we wont be able to answer the phone!) and we can try and arrange to meet you there to help you out.